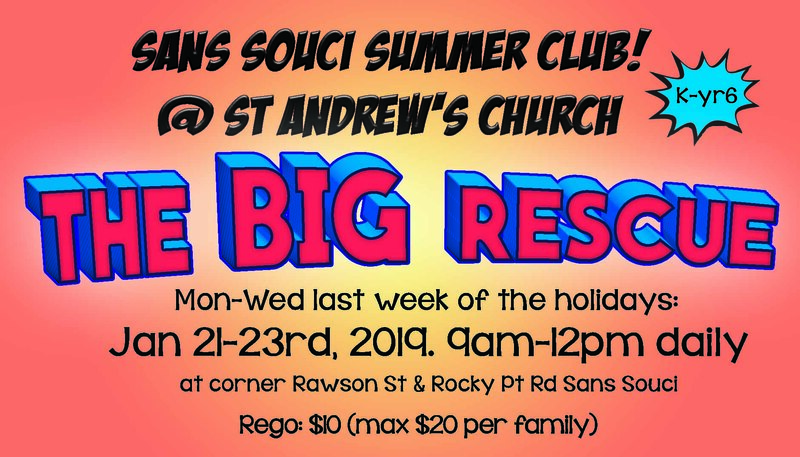 A kid's club for anyone in kindergarten to year 6 on Monday, Tuesday and Wednesday of the last week of summer holidays. This summer's theme is 'The Big Rescue'. Kids will experience stories from the Bible in an engaging and creative way; enjoy morning tea together (provided); participate in games and craft activities.